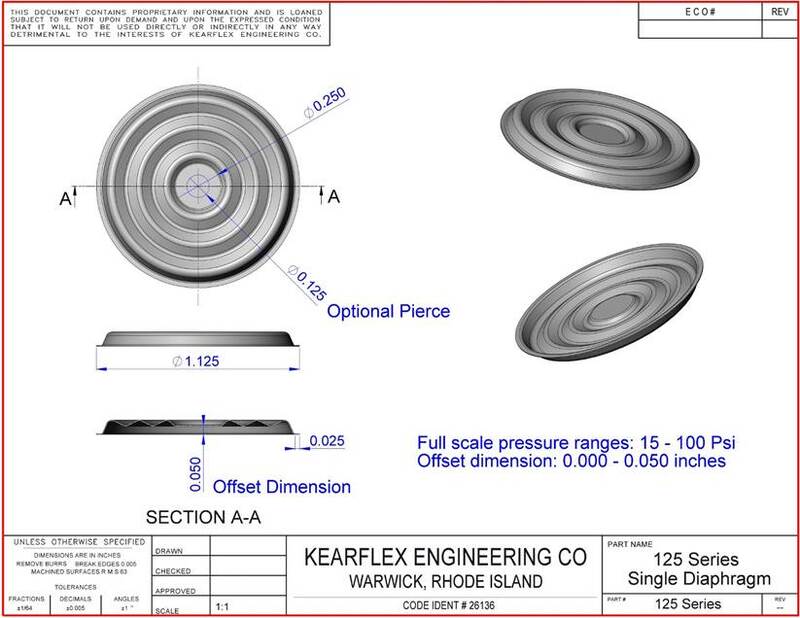 The Kearflex single element diaphragms are based upon a standard set of outer trim diameters allowing a wide selection of designs that can be ordered with a short lead. 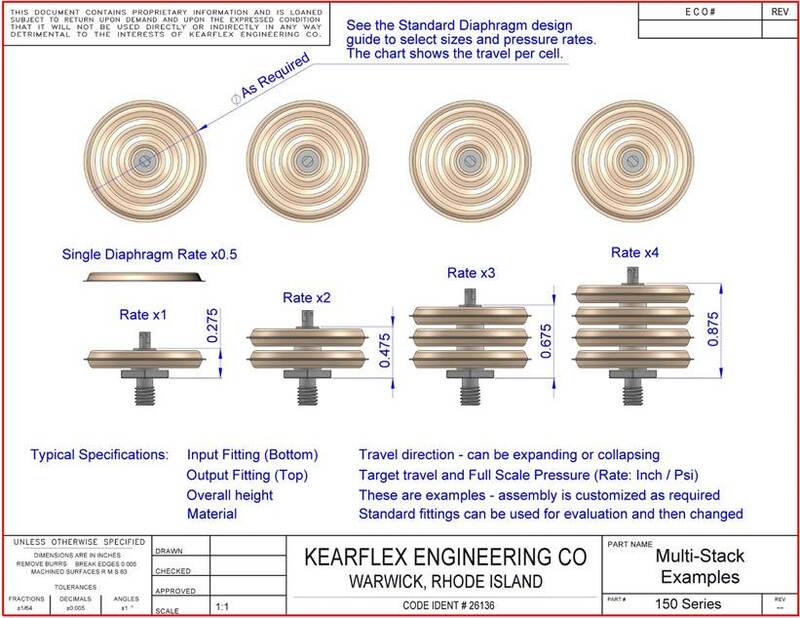 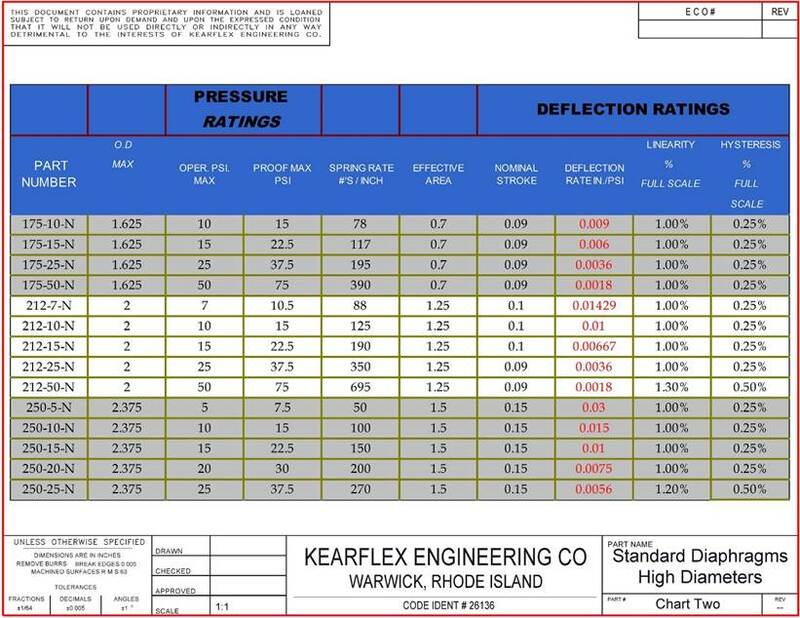 A key aspect of the Kearflex diaphragm product line is that we control the deflection rate so that the performance of the diaphragm is consistent within each lot, and between lots. 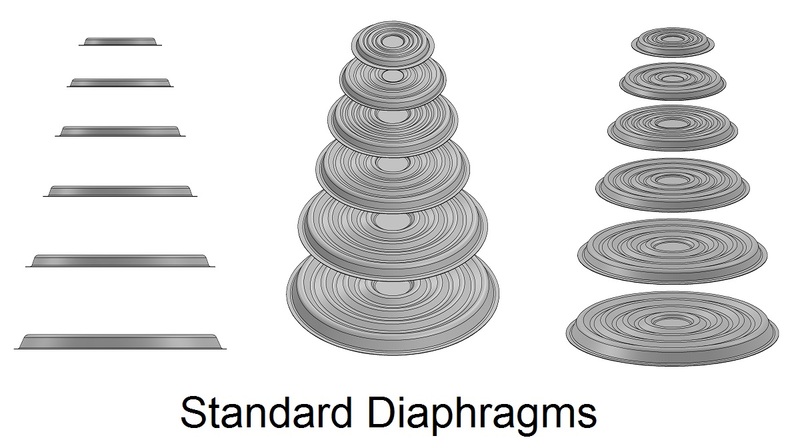 Diaphragms are available using NiSpan-C (AMS-5221-E) which is stocked in a variety of thickness. 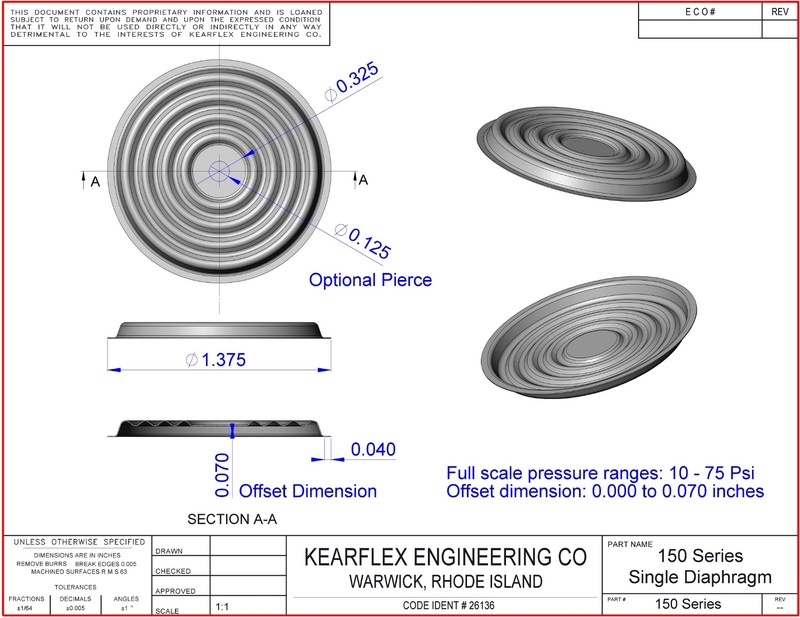 We also stock some 316L stainless in a range of thicknesses that meet most applications. 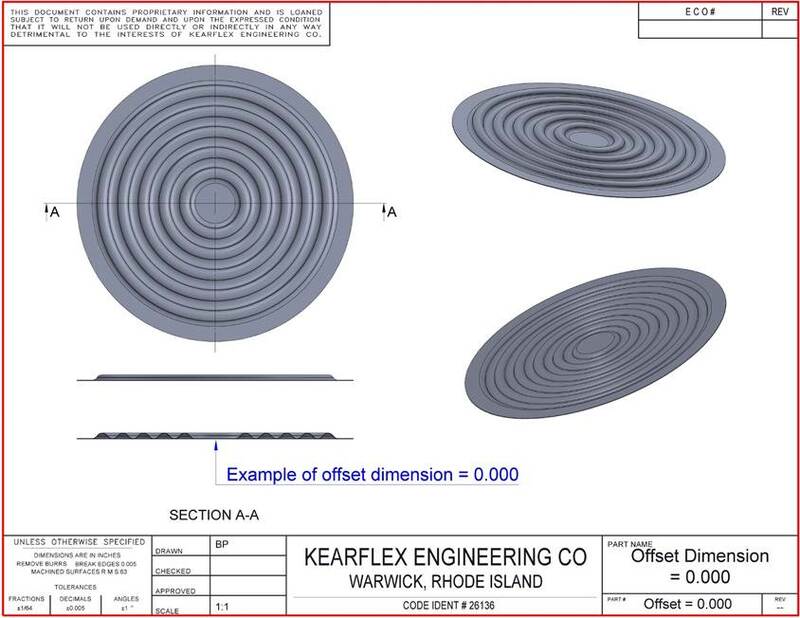 Diaphragms can be produced using any formable metal, but these materials need to be special ordered or supplied by the customer. 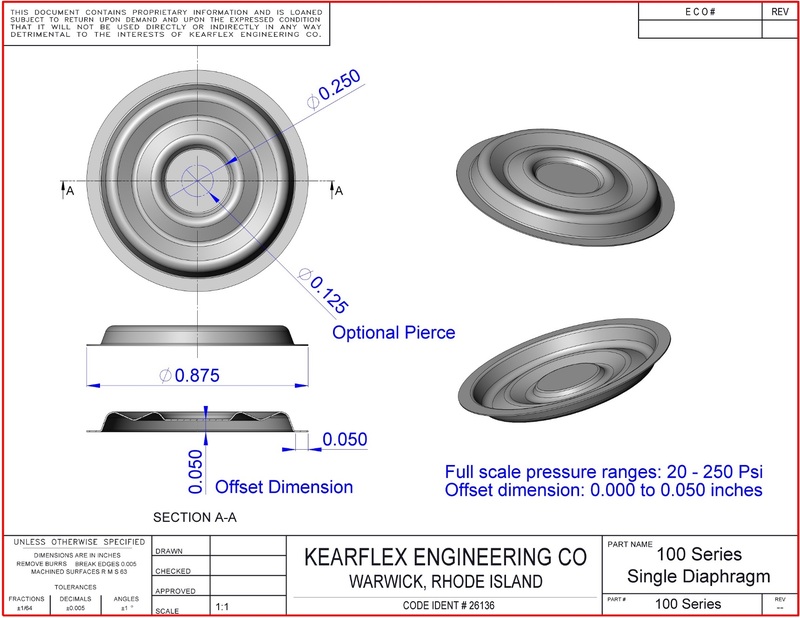 The standard diaphragms are offset from the flange surface like a Texas hat. 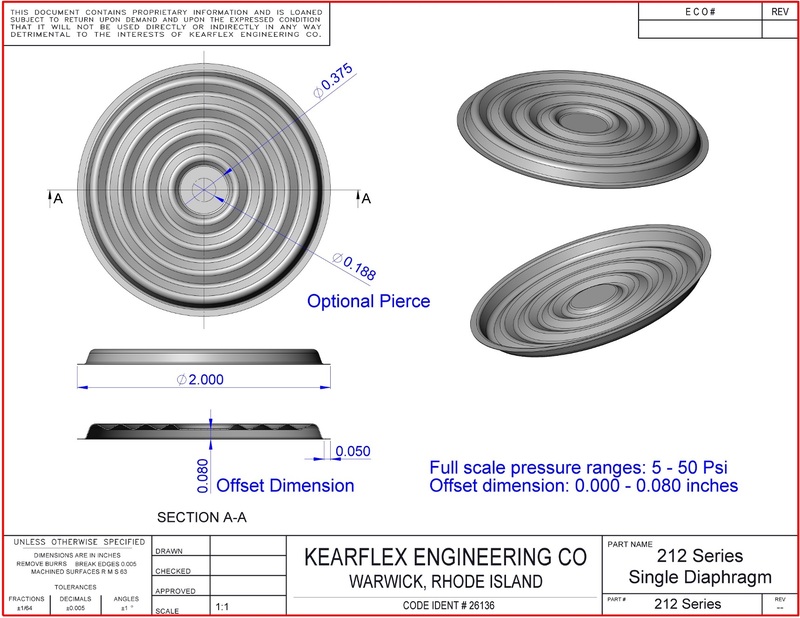 The diaphragms can be specified with this dimension set to zero so the bottom is a single plane, or the offset dimension can be varied to best fit the next level assembly. 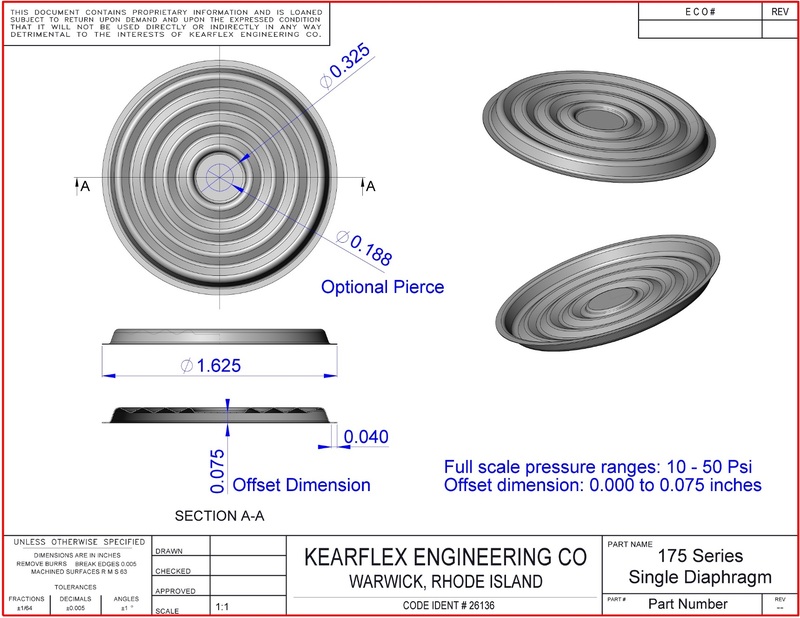 Data shown for a Single cell capsule. 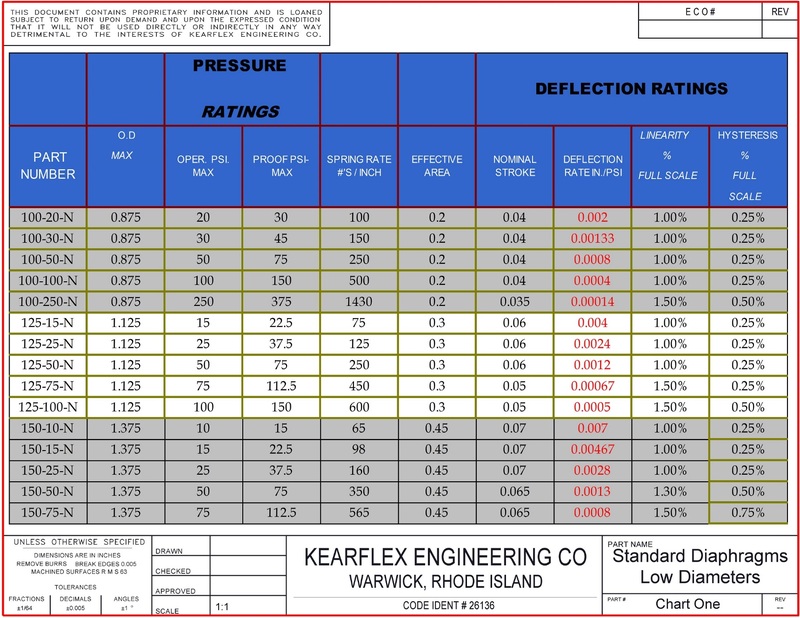 Design charts based upon a Single Cell assembly.